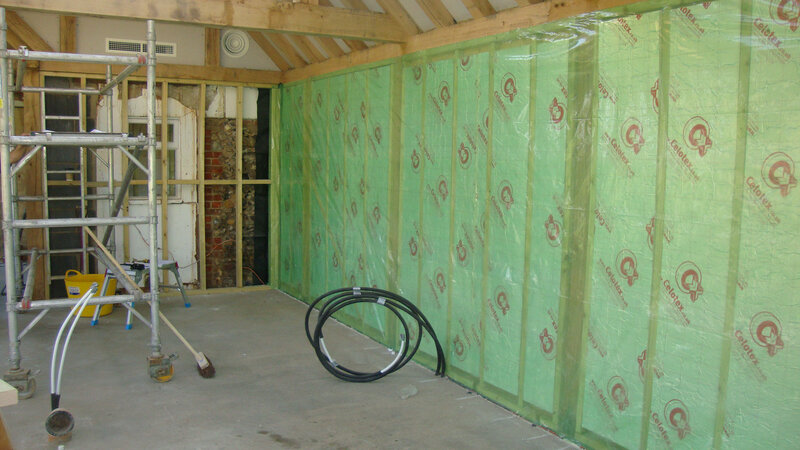 We have just completed our works on our client’s kitchen extension at their Suffolk home. 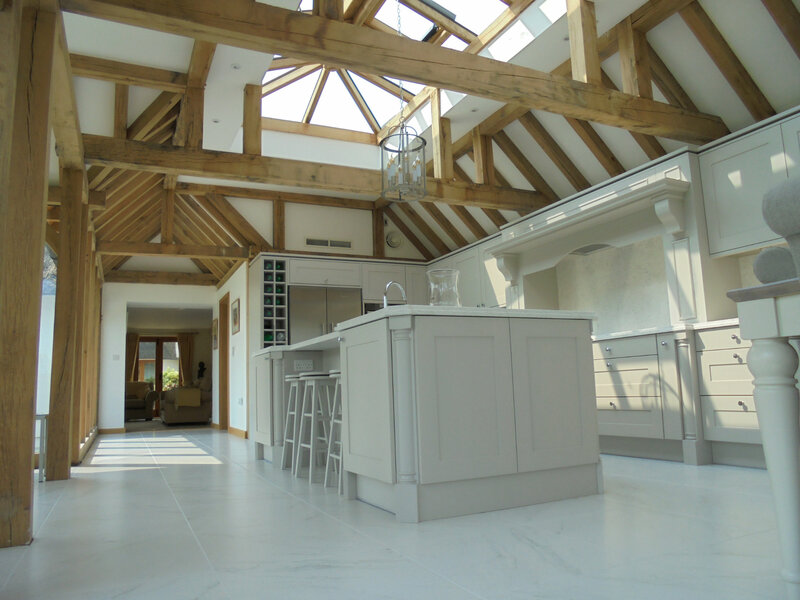 The beautiful kitchen and dining room is housed in a brand new extension, featuring oak beams and a vaulted ceiling. 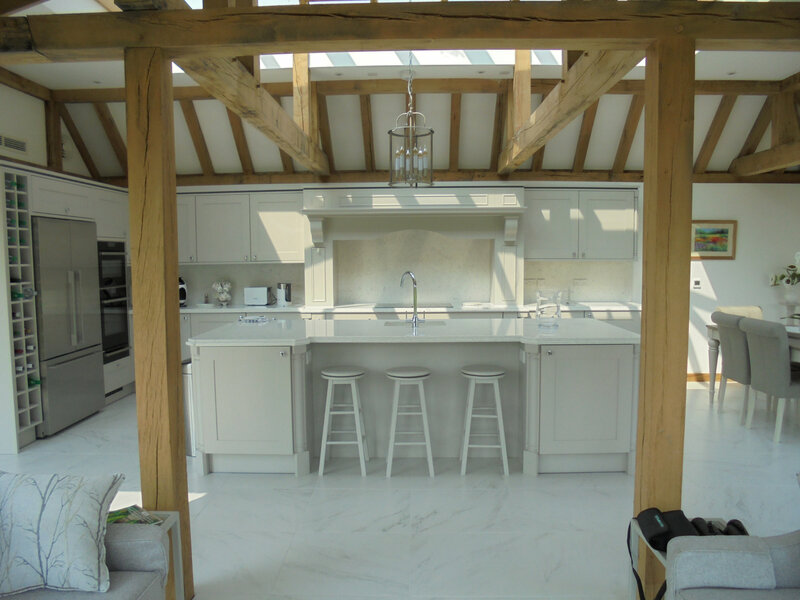 Our client chose the Callerton Balham flat painted kitchen in Gransden Grey with Silestone worktops featuring an ornate built up edge detail. The kitchen features a selection of Neff appliances, including an 80cm wide induction hob and a statement Stainless Steel American Fridge from Fisher & Paykel. 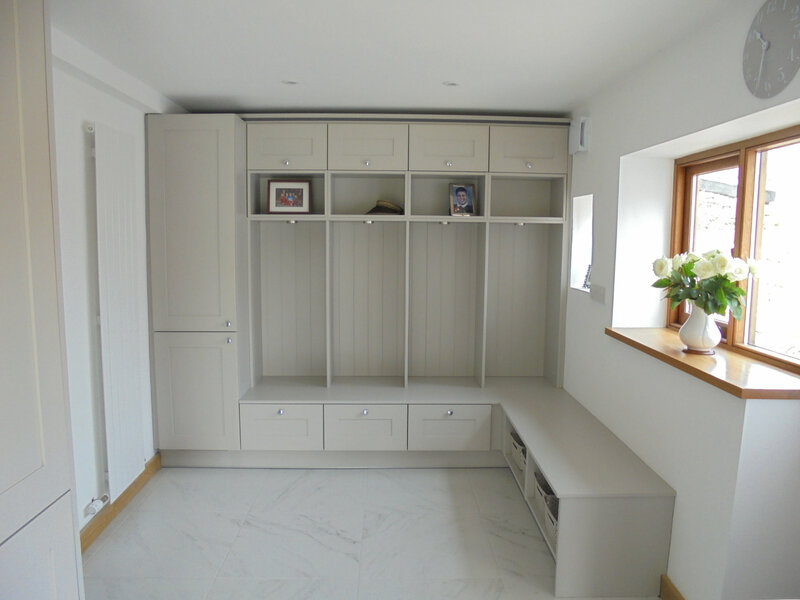 Adjacent to the kitchen and dining room is a bespoke boot room, featuring a tall unit, hanging for coats and a combination of storage units. The kitchen really gives you that wow feeling and fits beautifully with the new extension.